Wingstop is a casual dining restaurant with emphasis on chicken wings, and it is well known for its retro, 1930s-40s aviation theme. The Wingstop menu not only includes chicken wings but combos, sides and drinks. Customers have the choice to smother their wings in one of 12 flavorful sauces. Can’t decide on a flavor? Choose several and buy more wings! Below is the latest Wing Stop menu with prices. The Club: That’s right. Exclusivity has its perks. Become a member of The Club and benefits begin right away. A free order of fries for becoming a member, a free gift on your birthday. That’s not all. As a member, you will be the first to receive the latest updates and news about Wingstop. Signing up is quick and free. Order Online: Pressed for time or need to feed a hungry group. Head to your laptop or pull out your smartphone. Ordering from Wingstop is simple. You choose the best location, you decide what to eat, you pay and pick it up. Almost as easy as turning on the water faucet! Gift Cards: Wingstop Gift Cards shows people that you know how to give the gift of fantastic flavor. Wingstop gift cards can be purchased at any location. Balances can be checked online or at your favorite Wingstop location. Wing Shop: Besides awesome Wingstop flavors, Wingstop also has pretty cool swag. Check out the Wing Shop online and get fitted with a T-shirt and cap. Careers: Love the flavors of Wingstop? Want to share the flavors with others? Visit the Employment page on the official WIngstop website to learn about current openings at the corporate location or at a local Wingstop location. Allergen Information: Wingstop is aware that food sensitivities are a concern to some consumers. Guests with food sensitivities can view allergen information on Winstop chicken wings and sauces on the official website. Guests can also contact the corporate office for details. Contact info can be found online. 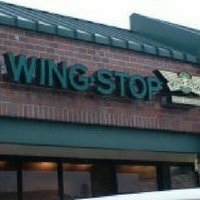 History: Wingstop was started by Antonio Swad in 1994, in Garland, Texas. Wingstop sold its first franchise in 1997. Today, there are over 900 Wingstop locations in the United States Mexico, Singapore, the Philippines, Indonesia and United Arab Emirates. and many more are in development. Wingstop is a publicly traded company majority owned by Roark Capital Group and is headquartered in Dallas, TX. To view more information about Wing Stop, visit their official website.